Those aboard Alaska Airlines Flight 261 included a religious couple who had been sweethearts since childhood, a family of six, and an off-duty flight attendant who had flown family and friends to Mexico for an impromptu birthday party. Any crash is painful for airline employees. This one could be more so for those working for Alaska Airlines, with people associated with the airline making up more than a third of the 88 on board. Among the victims of Alaska Air Flight 261 were Linda and Joe Knight from Monroe, Wash. As co-pastors of Rock Church Northwest, they were returning from Puerto Vallarta after performing missionary work there. It was their latest mission, which has included charity work for well over 15 years. Their son, Jeff Knight, spoke to Early Show Anchor Bryant Gumbel about the lives of his parents. "They always said they wanted to go together," he said. "They've been lovebirds and were childhood and high school sweethearts, and always wanted to go together. And now that they're gone, I know there's no other way that they would have wanted to leave. I guess we got the hard part, but God will be faithful to heal us as well." The Knights, in a July 1998 story in The Herald of Everett, Wash., said they gathered food, raised $3,700 to build showers and toilets and worked to buy a school building for teaching English and the Bible to children living in poverty. Much of the support came from corporations. "As a team, we have been able to get companies like Alaska Airlines to donate food for the children," Mrs. Knight told the paper. "This isn't one of those things where we do a missionary trip and then forget about it," she said. "This is going to be our lifelong work." Their son said their work will continue through Mission to Mexico, a fund that has been set up through Washington Mutual Bank. In Seattle, they're grieving at John Hay Elementary School for four students who were aboard Flight 261. Three of the victims, all first and second graders, were from the same family. The family that was lost was the Clemetson family: David and Carolyn Clemetson and children, Blake, Miles, Coriander, and Spencer. Other families are involved in the loss. Two of the Clemetson children had a different mother, who was not on the plane, and there was another family involved as ell. During an interview on The Early Show, Joanne Testacross, principal of the John Hay Elementary School, said that, with the help of trained counselors, the school staff was helping the young students cope with the tragedy. Many of their questions obviously spring from a lot of thought: What's going to be in the black box? Why doesn't the plane float? Do they know how to swim? Do you think they're still going to find them? Members of the school staff themselves were getting help from counselors so they can better deal with the tragedy. "I'm very moved by the profound amount of support we're getting and the level of skill involved in wrapping services around us and the children," said Testacross. In Sebastopol, Phil Salyer choked back tears talking about his wife, Ellen Masland Salyer, 51, who had gone to Mexico for a property owners meeting. "We had a storybook relationship. We've been to together for 13 years and it's been the best 13 years of my life," Salyer said. Salyer said he and his wife ran a business together providing bar code services for non-retail warehousing businesses. Salyer said his wife was active in the community, volunteering her time for various organizations including the Boy Scouts. "She always gave. She gave so much. She'll be very missed," he said. "I don't even know where to go from here." He said his wife had two children from a previous relationship who were also struggling with their loss. Robert Ost considered risk part of the job and part of life. A 15-year veteran of the South San Francisco Fire Department, he was also an avid paraglider and mountain climber. "To me, what he always did was risk, but he was always safe in doing it," said John Lucia, an assistant fire chief. Ost, his wife Ileana (who worked for the airline as a customer service representative) and their daughter Emily all were on Flight 261, said South San Francisco Department Chief Russ Lee. Another couple, Joan Permison, Ost's mother, and Charles Russell, both of Scotts Valley, also were aboard the flight. Lee said Robert Ost was "the kind of person that people like to work around. Everybody is just really shocked. It's a tremendous loss to our department." Flags at fire departments throughout San Mateo County flew at half-staff for a time. Family and friends of Alaska Airlines Capt. Ted Thompson, the pilot of Flight 261, gathered at his Redlands, Calif., home the day after the tragedy to grieve and console. A sign on the door read, "The family is in seclusion. Please respect our privacy and our grief." Thompson's son, Fred, his voice breaking, thanked well-wishers, offered his family's sympathy and asked for privacy. Ted Thompson, 53, flew C-141 cargo planes for eight years for the ir Force before becoming a commercial jet pilot for Alaska Airlines in 1982. He had 10,000 flying hours with Alaska Airlines, and was a flight safety instructor for the company. After a student died two months ago, University of San Francisco teacher Jean Gandesbery turned sadly to a colleague and said, "We never really do know how much time we have." "It was really prophetic and really sad," said Lisa Morana, interim director of USF's Sacramento campus, where Mrs. Gandesbery taught writing as an adjunct instructor. Mrs. Gandesbery and her husband, Robert Gandesbery, were returning from a vacation aboard Flight 261. Mrs. Gandesbery just had her childhood memoirs published in a novel titled Seven Mile Lake. Her husband was retired. "She really had a significant impact on all of her students. They did a lot of personal writing and they got to know each other very well," Morana said. "They're really nice people. They're just such pleasant people," said Jerome Vigil, who was house-sitting for the couple and watching over their golden retrievers, Emma and Casey. Tom Stockley, 63, went to work for The Seattle Times in 1967 and six years later became the newspaper's wine columnist. His wife, Peggy, 62, was an animal lover and community activist who had worked for the Times, the Seattle Post-Intelligencer, the Seattle Youth Symphony and other organizations. Most recently, she edited the Floating Homes Association newsletter. They both graduated from the University of Washington School of Communications. The Stockleys were well known in their close-knit houseboat community. "They were just the gentlest souls and always willing to help neighbors," said neighbor Jan Knutson. "It's a very good reminder to us that when we cover tragedies, we're writing about people who are loved," said Times managing editor Alex MacLeod. In 1998, Stockley was recognized at an international conference in Seattle for expanding public knowledge about wine and wine production. "His impact was tremendous," said Simon Siegl, president of the American Vintners Association. "He was there at the beginning before anybody was aware of the Washington wine industry and a strong advocate from the start." Morris Thompson, 61, was one of Alaska's most prominent Native and business leaders. "A really big Alaskan tree fell today," said Byron Mallott, who recently stepped down as executive director of the Alaska Permanent Fund Corp.
Thompson, his wife, Thelma, and daughter Sheryl had been in Mexico for a vacation. Thompson retired last month as president and chief executive officer of Doyon Ltd., a Native corporation formed in 1971 as part of the Alaska Native Claims Settlement Act. The corporatiohas 12.5 million acres of land, making it the largest private landowner in the United States. When Thompson took over Doyon in 1985, it had an operating loss of $28 million. When he retired, it was generating $70.9 million in annual revenues, had 900 employees and 14,000 stockholders. Thompson was a special assistant to the Secretary of the Interior during the Nixon years. He was only 34 when he was appointed Commissioner of the Bureau of Indian Affairs. He also was a cabinet-level officer in Alaska Gov. Walter J. Hickel's first administration. "He is a great Native leader, very personable, down to earth," said Sharon McConnell, a co-host of Dialogue with Doyon that aired on Alaska Public Radio until Thompson retired. "I think a lot of us are in shock about this." Cynthia Oti was an investment broker who knew how to save and how to spend, how to work and how to play. "She enjoyed life," said Greg Raab, public relations and marketing manager for San Francisco radio station KSFO, where Oti was host of a nightly radio show on investing. "She told people to save and have a plan for the future, but not to deny oneself. She said it on the air and she lived it." Colleagues said Oti's career as a broadcaster was beginning to take off. For four years, she did a three-hour Sunday show, but last spring, KSFO asked her to take on a prime-time, Monday-through-Friday slot. She indulged herself by buying a Jaguar. She had treated herself to a weekend getaway in Puerto Vallarta, Mexico, where Flight 261 originated. She loved the music of Eric Clapton and collected expensive champagne. Oti was supposed to go on the air two hours after the flight was scheduled to land in San Francisco. "It's terrible news for us," talk show host Gene Burns told listeners. "Many of us have lost a friend, a colleague and an absolutely, thoroughly delightful human being." "She was always willing to lend her professional advice," Burns said. "If someone was having a financial difficulty, she did her level best to guide them through the shoals of that experience." James J. Ryan, an off-duty flight attendant from Redmond, Wash., had rounded up nine free tickets to arrange an impromptu 30th birthday party for himself with his brother, Bradford Ryan, and his parents, Terrance and Barbara Ryan. They were joined by Ryan and Abigail Busche, both 28, Russell Ing, 28, Deborah Penna, 27, and Colleen Whorley, 34, all recently graduated art majors from Western Washington University. "We lost several really good graduates," said Art Department chairman Thomas Johnston. "They all took chances with their art work. They were going to make a difference in the world." Rachel Janosik, a recent graduate of Enumclaw (Wash.) High Shool, was excited about the travel opportunities at her new job with Horizon Air, a subsidiary of Alaska Airlines. "She was really getting into traveling," said her brother, Matt, 18. "We just got her a set of luggage for Christmas." Janosik, a food and beverage agent for the airlines, was able to travel free on certain Alaska flights. She recently traveled to Puerto Vallarta and loved it so much that she invited two of her old Enumclaw classmates on another trip. She and friends Meghann Hall and Ryan Sparks were on the flight. "They were all terrific kids," said Principal Terry Parker. "This is a very sad day here." Bradley Long, 39, and his partner William Knudson, 53, were heading home to California after visiting the bed and breakfast inn they owned in Puerto Vallarta. They "lived life to the fullest," said Laura Lyon, vice president at Lyon & Associates Real Estate in Sacramento, Calif., where Long had worked for the past decade. The men owned a magnificent home on the Sacramento River, Lyon said. "They were very much into boating and had a large hobby restoring old cars," Lyon said. "They were always entertaining, very, very generous, warmhearted gentlemen." At Inland Business Systems in Sacramento, a business machines company Knudson helped found in 1977, chief financial officer Judy Mason said Knudson's "incredible insight" cannot be replaced. "His shoes will never be filled," Mason said. Steve Wilkie was the brand manager of the Levi Strauss' Silvertab clothing line. An eight-year company veteran, he worked at company headquarters in San Francisco. "This is a very sad day for Levi Strauss and Co. employees around the world. We have lost a highly respected colleague and a dear friend," the company said in a statement. Wilkie was responsible for the strategic marketing direction of the Silvertab brand, a fashionable clothing line geared toward young adults. Earlier, Wilkie had served as the marketing director for Levi Strauss' Spain office. While working and living in Spain, Wilkie received the Koshman Award, the company's most prestigious award in recognition for his work on marketing in Europe. Just north of San Francisco, in Corte Madera, Calif., the three adult sons of Ronald and Joyce Lake were mourning their parents as co-workers remembered favorite traits. "There are just special souls sometimes," said Cyd Gardner, an assistant manager at Frank Howard Allen Realtors, where Mrs. Lake worked. "We teased her a lot about how could she do as well as she did and take three or four vacations a year." Gardner said Mrs. Lake was one of their top sellers, an avid community volunteer and a world traveler. 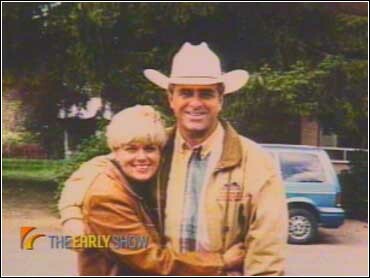 With her retired husband, Mrs. Lake visited Chile last yar and Africa in 1998, Gardner said. Robert Hovey carried an infectious smile and a zest for life from the slopes of Lake Tahoe to the beaches of Mexico, where he spent his last trip with his business and skiing partner. "He always has a smile, just a funny story. It feels good to be around him a real charming fellow," said Steve Edmonds, who hired Hovey to work at Gelati Celesti, an ice cream manufacturer for hotels and restaurants. Hovey, 50, worked at the company's Oakland office and lived on a sailboat in San Francisco Bay. He met Edmonds while working avalanche control at Lake Tahoe 25 years ago. Edmonds was in Puerto Vallarta with Hovey but couldn't get on Flight 261 and took a later plane home. The pair had traveled to Thailand, parts of South America and virtually every ski area in the United States, Edmonds said. The men planned a trip to Lake Tahoe in a few weeks. James "Jay" Luque, who worked for a San Francisco catering company, was going to celebrate his 42nd birthday this month. His mother, Jovanna Luque of Olympia, Wash., had planned to start the party early when he returned to Seattle. Instead, she headed for California to find out more about the crash. Luque was one of six children, his mother said, and the second child she had lost in the last 14 years. Robert and Lorna Thorgrimson lived in Poulsbo, Wash. He is the grandson of O.B. Thorgrimson, a founding partner of the prominent Seattle-based law firm Preston, Thorgrimson, Shidler, Gates & Lucas, where billionaire Bill Gates' father is a partner. The firm became Preston, Gates & Ellis in 1994. "We express our sympathies to the Thorgrimson family and all of the families who lost loved ones on this flight," said B. Gerald Johnson, managing partner of the firm. Harry Stasinos and his wife, Charlene Sipe, worked together at the Roy Potter Insurance Agency in Seattle for many years. "They were both very happy people," said the owner's son, Scott Potter. "One of my employees talked to them right before they went down to Puerto Vallarta. I know they had a great time there." Stanford Poll had many business and property interests in the Seattle area and lived in a high-priced area on Mercer Island. Poll's wife, Gabriel, was not traveling with him and was absorbing the shock of the news at home, said Shari Gross, who took calls for the family. Poll, 59, also had two college-aged daughters. "He was a wonderful person, who was the best friend anyone could ask for," Gross said. In the 1970s, Poll, then described as the operator o two taverns, was subpoenaed as a material witness in a criminal investigation into payoffs to Seattle police officers. He was found guilty of filing false reports of federal withholding taxes and Social Security contributions. The conviction was overturned in 1975, but Poll was convicted later that year on a new charge of willfully filing false tax returns with the Internal Revenue Service. Craig and Paul Pulanco were a witty, fun-loving couple known for having the most creative Christmas decorations on the block. Craig Pulanco, 30, who changed his name from Craig Gruhl, worked as a flight attendant on Flight 261. Paul Pulanco, 40, his partner of many years, was apparently on board as a guest. Craig Pulanco joined Alaska Airlines in 1996. His partner worked for the Northwest AIDS Foundation in Seattle. "We're all in a huge state of shock right now," foundation spokeswoman Tammy Kincaid said. "(Paul) was one of the most loved people here." The Pulancos lived in south Seattle, where they spent a lot of time on their garden and their dogs, Luna and Scott. This is a list of crew and passengers aboard Alaska Airlines Flight 261. Alaska Airlines has provided two phone numbers for relatives of Flight 261 passengers: 800-553-5117 and 877-460-8006. Capt. Ted Thompson, 53, of Redlands, Calif.
First Officer William Tansky, 57, of Alameda, Calif.
Allison Shanks, 33, flight attendant, based in Seattle. Craig Pulanco, 30, flight attendant, based in Seattle. Kristin Mills, 26, flight attendant, based in Seattle. Sarah Pearson, flight attendant, based in Seattle. Traveling with husband Rodney, daughter Rachel, 6, and infant Grace. James J. Ryan of Redmond, Wash., flight attendant, traveling with parents and brother: Terry, Bradford and Barbara. Ileana Ost of San Bruno, Calif., customer service employee, traveling with husband Bob and infant Emily. Sheri Christiansen, 25, of San Francisco, Horizon Air ground service agent. Rachel Janosik, 20, of Enumclaw, Wash., Horizon Air food and beverage agent. Anjesh Prasad, 19, Horizon Air ground service agent, based in Seattle. Traveling with cousins Avinish Prasad and Avine Deo, both of Seattle. Larry Baldridge Jr. of Novato, Calif.
Jacqueyn Choate of Santa Cruz, Calif.
John Cuthbertson of Danville, Calif.
Dean Forshee of Benicia, Calif. A guitarist, he owned a condominium in Puerto Vallarta, Mexico, with his wife, who was not aboard the plane. Allen Friedman of Round Lake Beach, Ill.
Aloysuis Han of Oakland, Calif.
Barbara Hatleberg of Eugene, Ore.
Karl Karlsson of San Bruno, Calif.
Carol Karlsson of Petaluma, Calif.
Joseph Knight, 54, and Linda Knight, 51, co-pastors of Rock Church Northwest in Monroe, Wash. They had performed missionary work in Puerto Vallarta that was supported by corporations, including Alaska Airlines. Ronald Lake of Corte Madera, Calif.
Cynthia Oti of Oakland, Calif., a financial talk show host at a San Francisco radio station. Joan Permison of Scotts Valley, Calif.
Stanford Poll, 59, of Mercer Island, Wash.
Charles Russell of Hayward, Calif.
Ellen Salyer of Sebastopol, Calif.
Donald Shaw of Shelton, Wash.
Joan Smith of Belmont, Calif.
Thomas Stockley, 63, a Seattle Times wine columnist since 1970. He was honored by the Washington Wine Commission for "expanding public knowledge about wine and winemaking." Morris Thompson, 61, was returning to Fairbanks, Alaska, after a family vacation (with wife Thelma and daughter Sheryl) in Mexico. Retired last month as president and chief executive officer of Doyon Ltd., Alaska's largest private landowner. A former Bureau of Indian Affairs commissioner and special assistant to the Interior secretary under the Nixon administration. Robert Thorgrimson of Poulsbo, Wash.